Rosemary MacPherson trained at Manchester University as a teacher and was fortunate enough to do part of her course at the Royal Northern College, where she focussed on accompanying. She currently works as Music Advisory teacher for Wirral and spends a great deal of her time in Wirral schools, providing training and support for primary teachers. 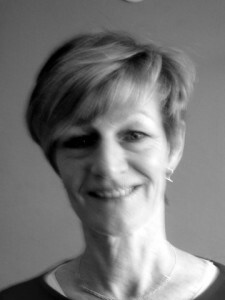 Her other love is musical theatre and she is often found at Birkenhead Operatic Society, where she is chorus mistress. Recent shows have included Crazy for You, Oliver, 42nd Street and The Scarlet Pimpernel. Rosemary is also an emminent piano teacher in the Wirral, and she has been the accompaist of the Wirral Singers Ladies’s choir for many years. 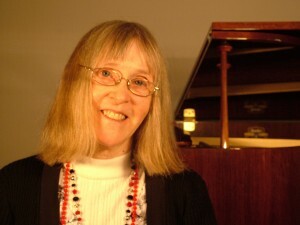 Stephanie Howard performed Mozart’s Coronation Concerto K537 with the National Youth Orchestra of Great Britain when she was ten, and proceeded to give many other concerto performances and recitals throughout the country. Whilst a student at the Royal College of Music she took an interest in accompanying, and she eventually became the Official Accompanist for many master classes and competitions. These included several for the BBC Television’s Young Musician of the Year, and master classes in London with Pinchas Zukerman and Yo Yo Mah, in Aldeburgh with Peter Pears and with Max Rostal in Cologne. She has also performed much chamber music, and she has broadcast on many occasions. Stephanie currently teaches piano at Birkenhead School, Wirral Grammar School for Boys and Wirral School of Music, and she is the Official Accompanist for the Scarratt Award held annually at Birkenhead High School Academy for promising young musicians.